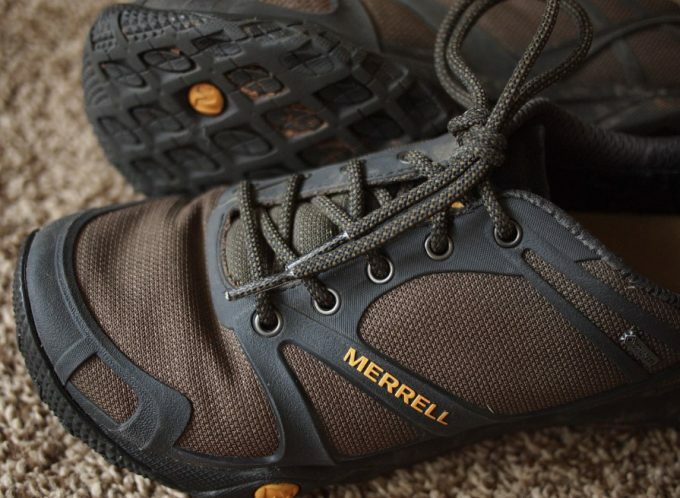 A great pair of hiking boots is essential for anyone who spends any time outdoors. A decent pair will serve you well for many years as long as they’re looked after. Years ago nearly all hiking boots were built to last, crafted from high quality, durable materials and they would seldom need replacing. Nowadays, there are still some companies creating fantastic, durable boots, but there are also a great many low-quality versions. It’s difficult to sort the wheat from the chaff, especially for those new to hiking. 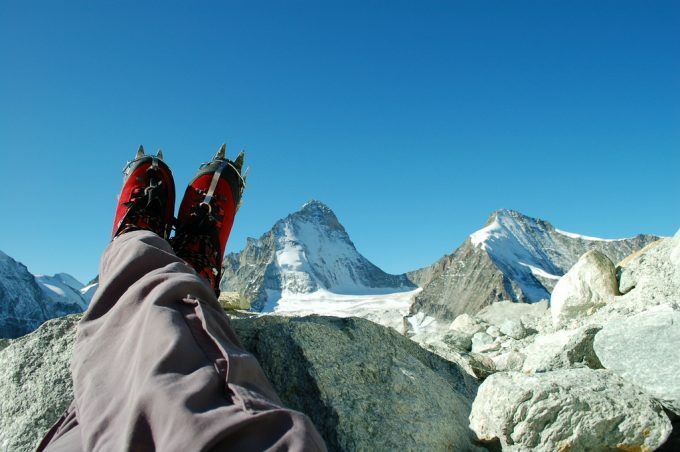 Learning how to choose hiking boots is a skill all lovers of the great outdoors should learn. With an idea of what to look out for and what to avoid, you’ll be far more able to make an informed decision as to what you put on your feet. Many factors come into play when choosing the best boots, from getting the size right, choosing the right model and sole and much more. 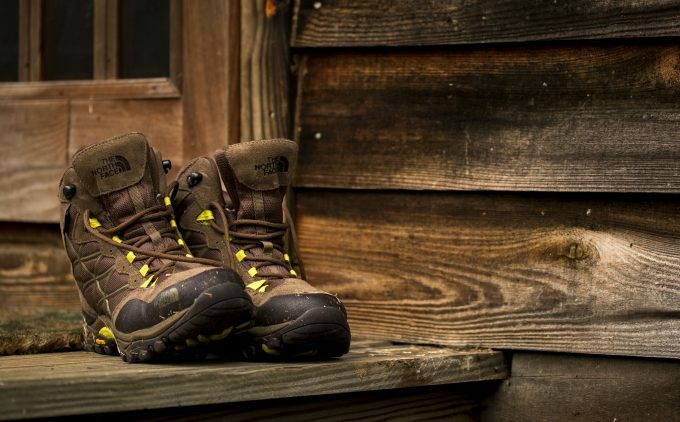 Read on to read an in depth guide on how to buy hiking boots – your feet will thank you and so will your wallet! 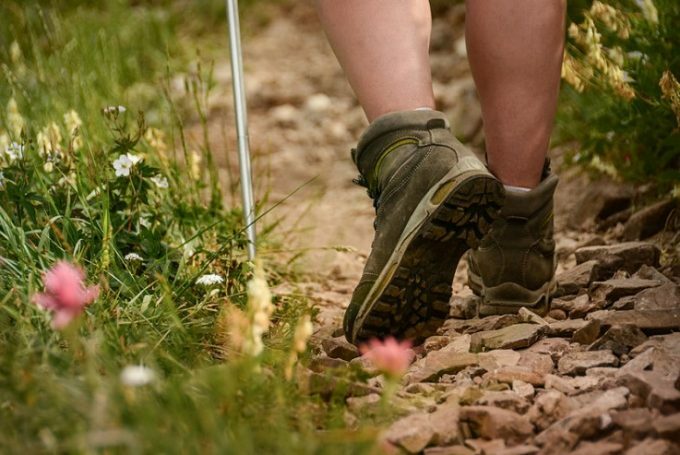 Before getting stuck into the world of hiking boots it’s worth covering the basics. 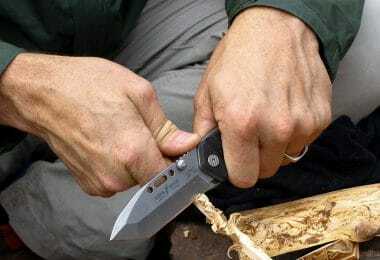 While it is true that different brands and boots can vary in quality and style, there are several components that are common to all hiking boots. Knowing the following terms will help you make an informed decision when choosing your next pair. Making up the bulk of the boot, this part also keeps everything else held together. Covering and protecting the top and sides of your feet, the upper is typically made from leather or synthetic materials. 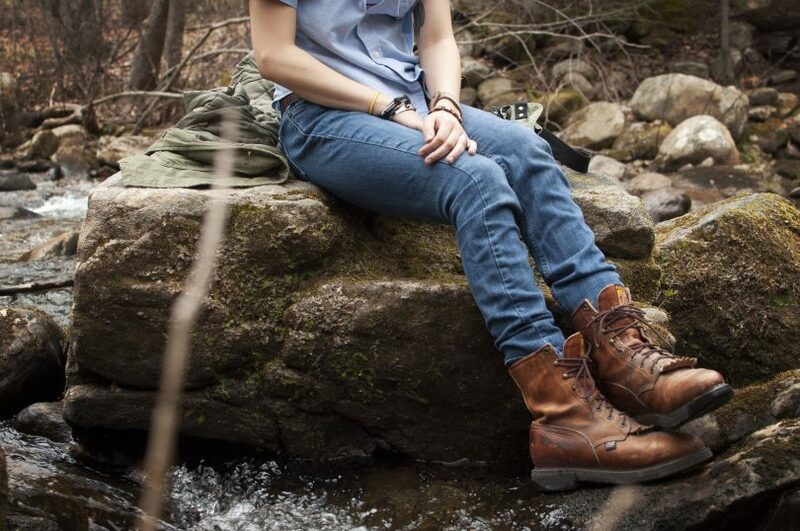 A good upper will be waterproof, breathable and flexible while being sturdy enough to offer protection. Without the outsole, hiking would be a very painful experience. Generally made of rubber or a rubber compound, the outsole offers protection from the ground, flexibility, and traction. It’s essential that the outsole remains fully waterproof. The effectiveness of the traction is determined by the tread pattern, depth and the spacing of lugs. Look out for Vibram soles, which can be found on a variety of boots. They use a rubber, silicone and carbon compound to create a durable, fairly stiff outsole. Sitting between the outsole and the insole, this is the shock absorption layer. It also aids in comfort and is typically made from EVA (ethylene vinyl acetate). This high-density foam allows for a firm, but fairly springy cushion. Some midsoles are strengthened with a shank insert. While this can limit flexibility, it improves stiffness, something that can be very useful on hard terrain. For softer trails, this is unnecessary and can, in fact, be detrimental to your comfort. Also known as the footbed, the insole provides support for the arch, heel, toes and ball of your foot. They are typically removable to allow them to be washed and the best are made from breathable, moisture wicking EVA. A great boot can become useless if the lace is of inferior quality and breaks. The same can be said for cheap eyelets. Eyelets that rip of pull off under pressure are not suitable for hiking. 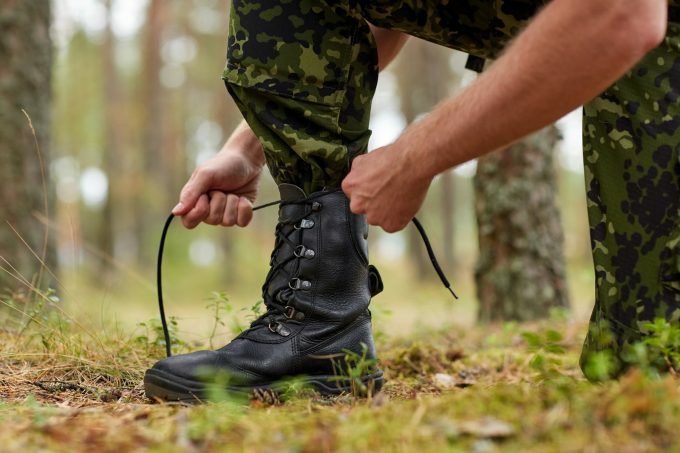 A good, sturdy hiking boot will have long laces, allowing you to tighten them securely and at least six pairs of metal eyelets running right up the boot. A decent lacing system ensures an excellent fit. When choosing your boots, it’s good to know the benefits and downsides of each material you have a choice of. The big question is whether you go for leather or synthetic boots, but there are other materials to consider on your boots. Strong, durable and available in many different varieties, leather offers long lasting, waterproof protection. Different types of leather are better than others when it comes to being waterproof, though there are other benefits to consider. Full grain leather boots are smooth and shiny and exceedingly durable. It is perhaps the strongest type of leather you can use for boots. The fibers are tight knit and provide excellent waterproofing. This can be improved upon by the application of further waterproofing agents, which the leather will take very well. The leather will be marked by “defects” and patterns from the animal’s skin, which can be a great feature, or look odd depending on the defect. Boots made from full grain leather require some time to break in. Nubuck leather is less expensive than full grain, but also less durable. It’s basically full grain leather that has been buffed to remove the defects, creating a uniform, patternless boot, similar to suede. Without the hardy top layer, the leather fibers are slightly looser, resulting in leather that is more prone to breaking down if it’s not looked after. Waterproofing agents are easily applied however and with care and attention, top grain leather boots can last a long time. Split leather is great for lighter, more breathable boots. It’s the most affordable leather option, but as such it’s not as durable or water resistant. It can, however, be oiled, buffed and treated to improve water resistance and durability. Nowadays more and more boot manufacturers are using synthetic materials to create superb hiking boots. 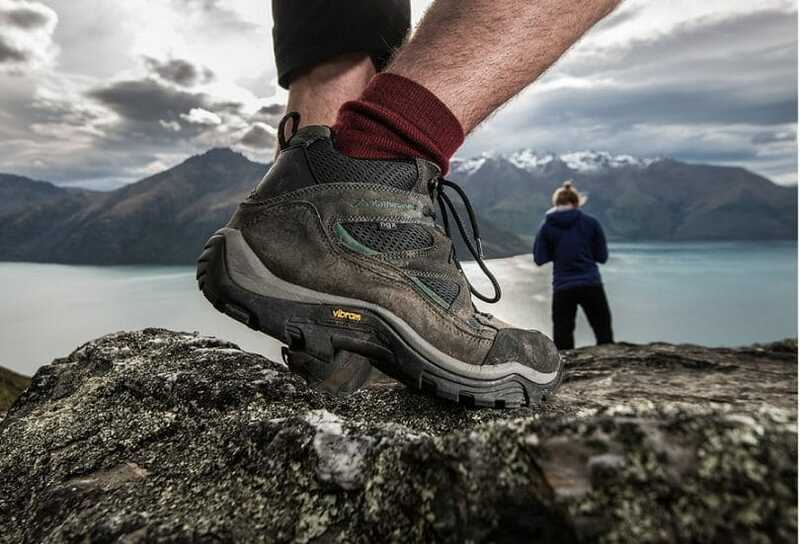 Nylon, polyester and even synthetic leathers are all employed in the construction of modern hiking boots. There are several reasons for this trend. Ease of use: A variety of coats can be easily applied, improving breathability, moisture wicking and water resistance. Gore-Tex is one of the most well known waterproofing membranes that can be applied to synthetic materials. Mesh sections are a common feature of synthetic boots and provide excellent breathability and increased flexibility. User friendly: Boots made from synthetic materials are typically lighter and tend to break in faster than leather boots. The downside to using synthetic materials is that they are not as durable as leather and are harder to maintain yourself. 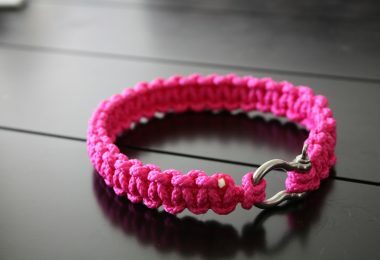 With external stitching, they are more prone to damage and wearing down after use. Those with a waterproof membrane may not be very breathable, causing feet to sweat in hot weather or on a long hike. Of course, you can have the best of both worlds. Half leather, half synthetic boots are not uncommon. Split leather is typically used for the construction of such boots, with synthetic mesh sections to improve breathability and flexibility. As mentioned above, the sole is made up of three components, outer, inner and mid. The materials used for these are largely the same in most boots, but there are some variables. Outer: Typically rubber is used to construct the outsole, with differing levels of firmness. 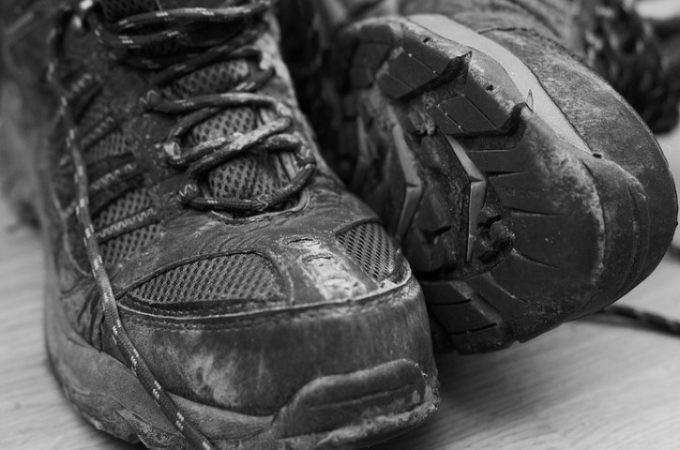 For hard trails, look for sturdier soles that are treated with carbon. Inner: EVA is the most common material for the insole. This high density foam comes in varying degrees of softness, offering both very spongy, comfy insoles and more robust, firm ones. There are aftermarket insoles that you can buy that will increase breathability and moisture wicking properties. Midsole: The shock absorber in your boot is generally either made from EVA or Polyurethane. The latter is firmer and offers more support on harder going trails. Again, EVA insoles come in varying densities. Light, flexible and breathable, these are fantastic shoes for shorter half day hikes in good weather. They will be up to the challenge of longer hikes, but are not recommended if you’re going to be carrying a lot of weight. They don’t offer as much support as hiking boots, but allow easier movement than heavier boots. Summer shoes concentrate on using mesh sections to create a breathable shoe, while other types value water resistance instead. There is no reason why a waterproof hiking shoe can’t be used successfully in wet or even snowy weather. 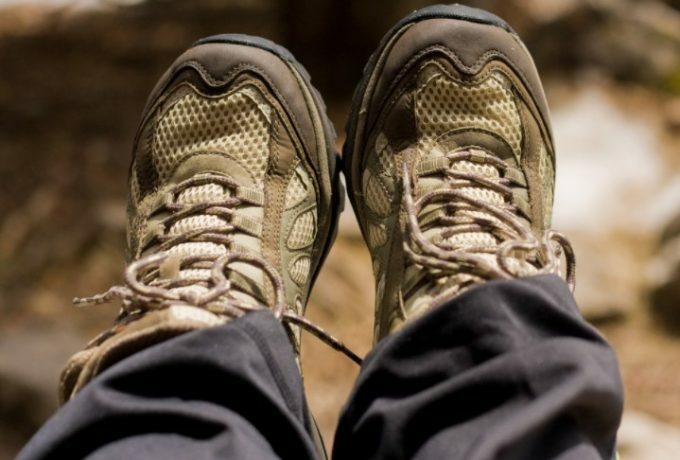 More often than not, hiking shoes are made from synthetic materials or a mix. Heavier than shoes, but offering more all round protection, hiking boots are fantastic for longer trails and for those carrying heavy loads. They’re also a great option for anyone with weak ankles. They range from fully leather to fully synthetic or mixed. Additional features such as toe bumpers and midsole support add additional protection and support. They can be worn all year round, especially if they incorporate a waterproof mesh such as Gore-Tex. Or soldier boots, are more likely to be fully leather, though high quality synthetic options exist. They’re generally heavier and sturdier than hiking boots and offer additional support and protection for harder trails. They’re excellent for multi day hikes and carrying heavy loads. 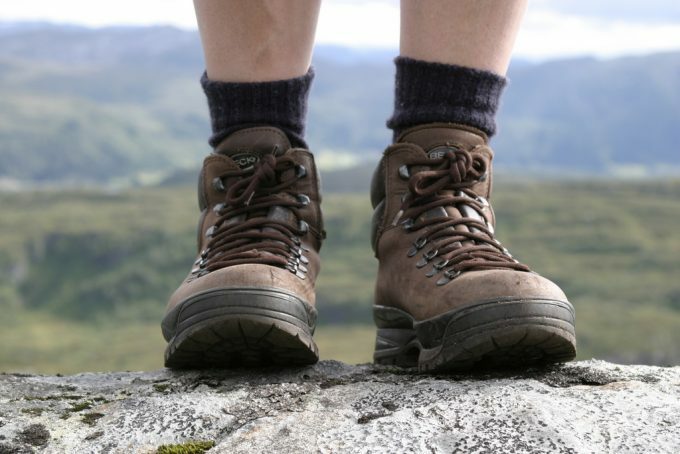 While hiking boots typically sit just on the ankle, backpacking boots are slightly higher and much stiffer. With great traction, they’re able to handle a variety of trails and will stand up to abuse from the weather. They are a lot heavier than shoes or hiking boots however and may slow you down. 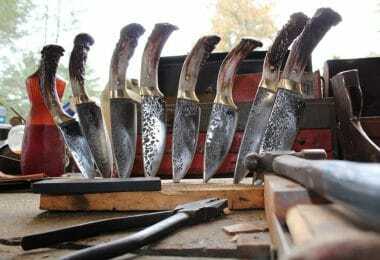 They will generally take a while to break in, so buy them in advance if this is the boot for you. These taller, sturdier and heavier boots are really only necessary if you’re hiking in the mountains in cold and icy conditions or heading to either of the poles. 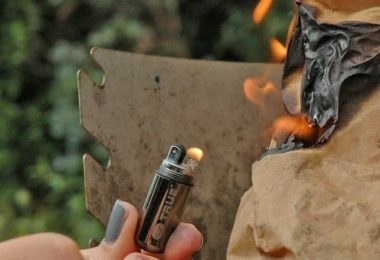 The shell is impenetrable and offers excellent protection.They normally come complete with insulation and removable liners and should be fully waterproof. 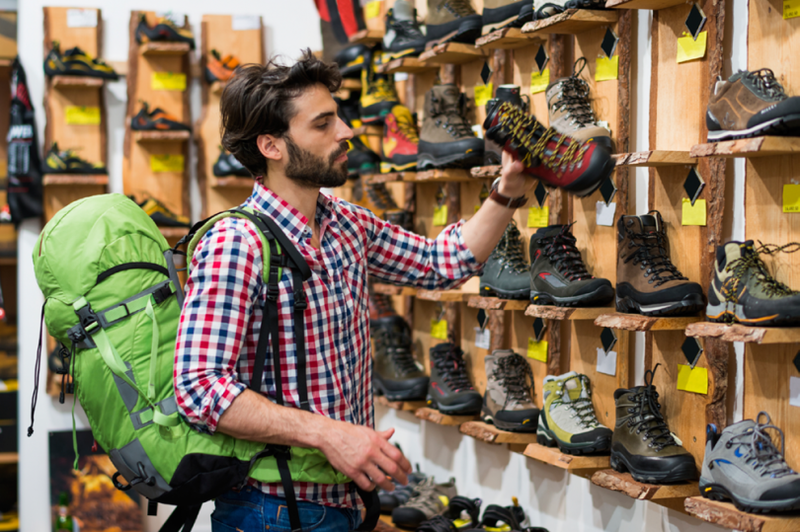 Of course, there are many more variables when it comes to choosing footwear, but with this general idea of the different options available to hikers you can start to choose the perfect boot or shoe for you. Different boots offer different benefits and downsides and are created for use in different conditions. Work out what conditions you will need your boots for and buy accordingly. With an understanding of which materials you’re interested in and which style of boot is most suitable for you, you can begin to narrow things down a bit. When you’ve found a pair you like, save it and see if you can find some others you’re interested in. Once you’ve created a wishlist of your perfect boots, do some further research on the specific brands and models. With review sites rife on the internet now, it’s simply a case of searching “[Boot brand and model] reviews”. Don’t be tempted to just read a few good reviews and go ahead with your purchase. It’s always worth reading the good, the bad and the average. If your boot of choice has a lot of reviews, check out what each end of the spectrum has to say. If the few negative reviews are down to packaging problems, or seem to be the exception that proves the rule don’t be overly concerned with them, especially if the overwhelming majority of reviews are positive. If on the other hand, the negative reviews make valid points that are repeated several times, beware. It’s always a good idea to check the dates of the reviews. A boot that had great feedback five years ago, but only receives negative reviews more recently has possibly dropped in quality. From time to time brands that offered fantastic items start to cut corners in order to save money. 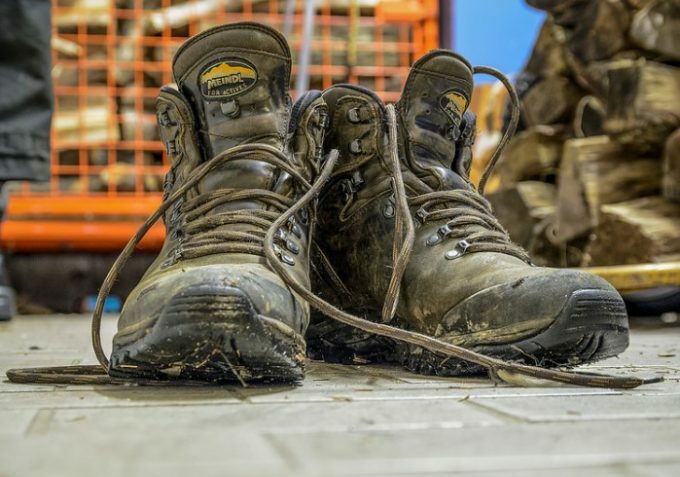 This has a huge impact on the quality of their product, so what was once a great boot, now may not be made from the same materials and is thus, far less durable for example. Take all reviews with a pinch of salt, especially extremely good and extremely bad ones. It’s not unheard of for biased reviews to appear, either to promote the product or mar its reputation. Other than that, everyone is different. Some people are extremely laid back, while others are insufferably fussy. Instead, focus on repeated comments. Look for several reviews that compliment the durability of a pair of boots, or criticize Repeated experiences are the best way to find out what a boot is really made of. Having read a decent amount of reviews and deciding that you’re happy with your choice of boot, don’t click the buy button! 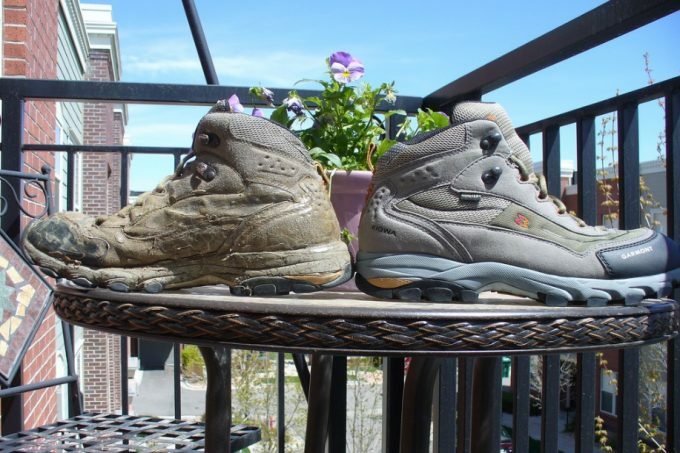 Buying hiking boots online can be a recipe for disaster. It’s very important that a hiking boot fits well. If it’s too big or too small, you will suffer for it on the trail. Instead, find a local store that stocks the boots you’re interested in and visit in person. At the store, ensure that the boot fits you well and only then go through with the purchase. If you find the boots cheaper online, still try them on in a store to be sure you find the correct size. Once you’re sure which size fits best, get back online and order them in. 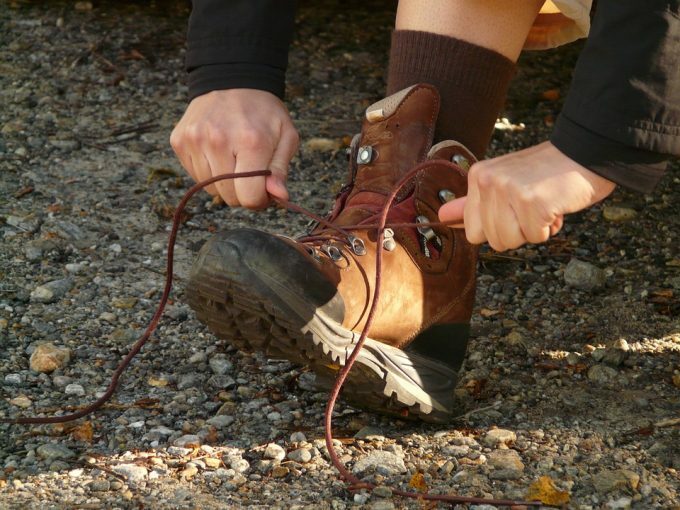 There are a few tips and tricks that are important to follow when trying on hiking boots. A good fit can be the difference between a miserable hike and a fantastic one. Even if your boot is slightly off, it can cause blisters or present more severe hazards, such as rolling your ankle. So how do you go about trying on hiking boots? First of all, find your normal size and put the boot on. Before lacing it up, slide your toes to the front of the boot. You should now be able to fit a finger comfortably behind your heel. If it’s too tight to get your finger in, try a half size up, if too loose, try a half size down. A well fit hiking boot should be snug all over, but not tight. Lace up your boot firmly and try the rest of your foot. Your toes should have enough space to wiggle and curl. If they’re pressing against the top or sides you will need a bigger boot. Similarly if there’s too much space, you will need a smaller size. The arch should be well supported and the sides of your foot should be snug as well. Stand up on the balls of your feet and ensure that your toes don’t slide forward. Walk around to check that your heel doesn’t slide at all. Ensure when you’re tightening the laces that the upper is not pressed too tightly against the top of your foot as this can cut of circulation. When trying your boots on at the store, try a different size if you feel any of the following. There are a few things that you can do when trying on new boots to ensure that perfect fit. The idea is to recreate the hiking conditions as accurately as you can while in the store. Don’t try boots on in the morning.Instead wait until the afternoon or evening, or go after a period of activity. During the day your foot swells, especially when exercising. The same thing happens while hiking, so it’s important to test a boot when your foot is at its biggest. This way, you can be sure that your boots won’t become too tight as the hike progresses. Wear hiking socks. Normal, everyday socks are far thinner than the hiking socks you’re likely to be wearing on the trail. Wear these hiking socks when you try your boots on to ensure a snug fit. You may find the boots too tight if you tried them on with normal socks. Do read our reviews of the best hiking socks to keep your feet dry and protected. Custom insoles. If you have your own insole, put these in the boots you’re trying. You will be using them while hiking so it’s important to know that they work well with your boot in advance. Put them through their paces. When trying boots on, it’s worth keeping them on for at least five minutes. Walk around during this time and move your foot as you would on the trail. Be sure you can flex and stand on the ball of your foot comfortably. Most outdoor shops will have inclines and different surfaces you can test your boots on. It’s important to test them on inclines as this is when your foot can move the most. 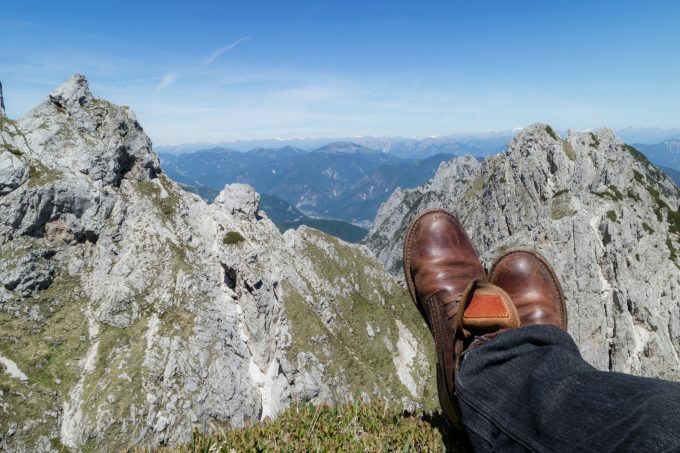 Choosing the perfect hiking boot for you is not always easy, but with the above tips and tricks you’re now armed with the knowledge you need to do it properly. 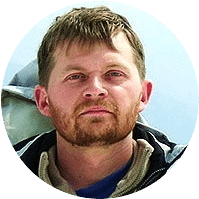 The most important thing to establish is how you will use them.If you rarely hike anything other than flat, easy going trails, a hiking shoe will probably suffice. 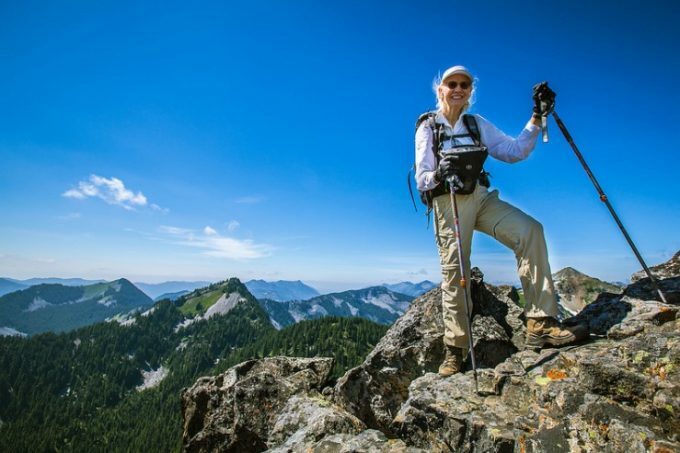 For anyone who spends more time in the wild than at home, it’s worth investing in a pair of sturdier, more durable backpacking boots. For a lot of people, a hiking boot is the best compromise, offering ample support and protection without being too heavy. 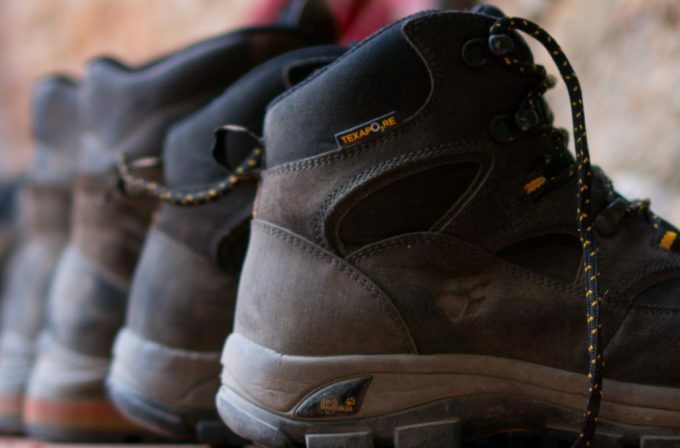 See our experts review of the top backpacking boots to help you with more options. Just remember, always try before you buy and do your research! If a boot is not durable, the folks online will let you know that it’s not worth considering. Avoid buying online unless you know for sure that the boot fits!